UPDATED: You must have your delay set to 120 seconds on your OBS settings when you are streaming, failing to do so will result in a forfeit and or a replay of the match that was played. For this tournament you will play two games. Each game you must keep track of your kills for each game played. The combined amount of kills for each game will determine which team will win the match. If out of the two games played the kills are tied a third map will be played to determine a winner for the match. You will party up as a SQUAD or DUOS with your opponent based on the type of match (1v1, 2v2). Any player inside of that queued session MAY NOT destroy any bases made by their opponent, make them fall, or any other actions that may help lead to that person's death. 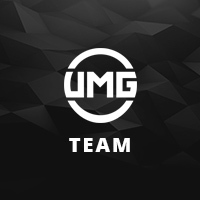 All forfeits will be handled and made by the judgement of the UMG Admin Demo.